I started off the summer by going through her closet and drawers. 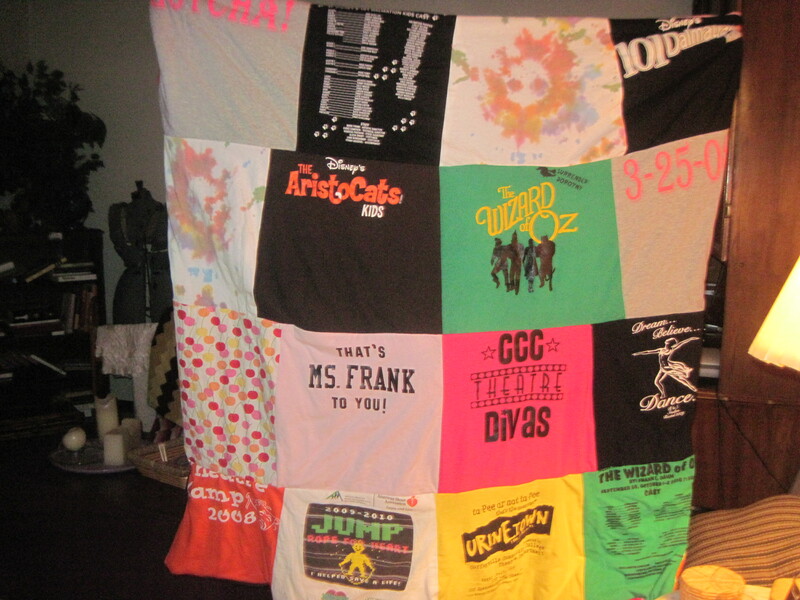 I saved all of her old T-shirts and cut them up. For the past few nights, I’ve spent some time sewing pieces together. This afternoon I finished it! She is so happy! So am I! 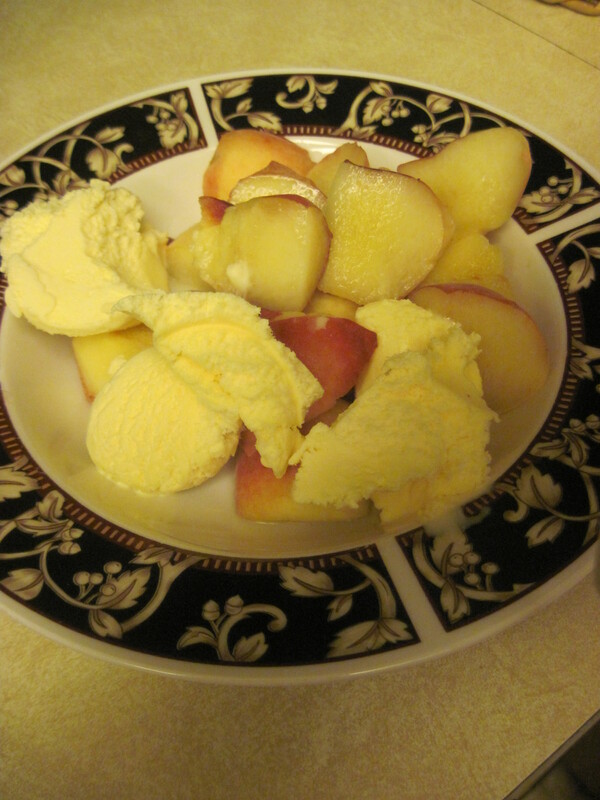 So, to celebrate, I had some French Vanilla ice cream with some donut peaches. Is the quilt 2-sided? I mean does it have the shirts on both sides? How very cool. After that you definitely deserved the ice cream and peaches! It’s two sided. 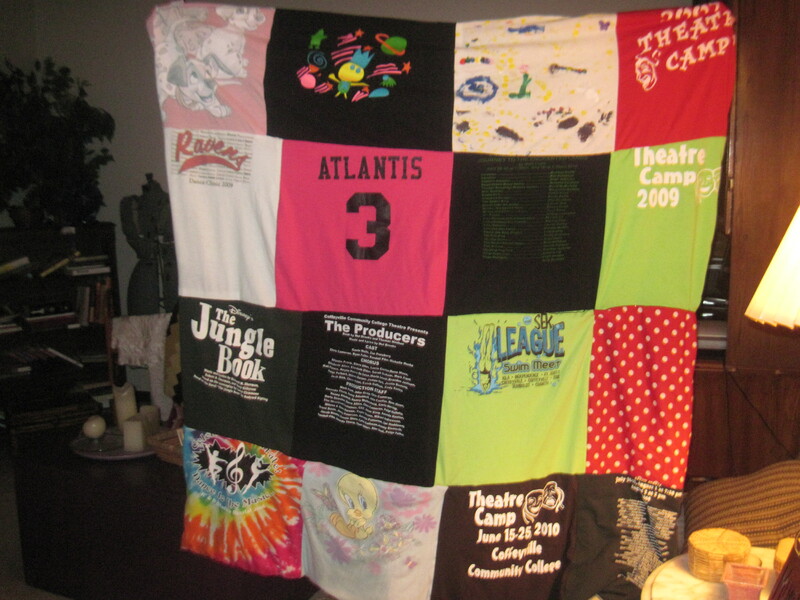 Can you believe she had that many t-shirts? Sheesh!